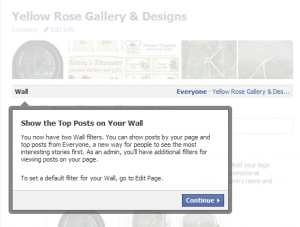 As most Facebook Page Owners know by now, there’s a new page profile in town. What does this mean to Page Admins? A lot. Aside from the obvious layout changes with Pages now looking like the new profile, Page Admins can get notifications (finally! ), Admins can be “featured” so that people who Like the page can feel a sense of connection with the person or people behind the page, and Pages can post comments on other Pages. Here’s a quick rundown of what to expect on your new page. As always, when Facebook rolls out something new, there were bugs with the first pages to switch to the new layout. Most of those seem to be fixed already however. “By choosing to upgrade your page, visitors to your page will begin to see the new layout, and you will not be able to revert back to the previous layout. All pages on Facebook will appear in the new layout beginning March 2011. We encourage you to alert any other admins of your page before upgrading. After upgrading, Facebook will send your other page admins an email alerting them of this change. Notice, you can hide a photo within the photo preview banner, however if you remove it, you cannot re-tag it later to bring it back into the banner. 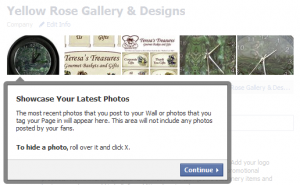 The best option is to tag your page with the photos you want featured on the wall banner. If you’ve noticed the profile “banners” starting to pop up as one continuous image, this is currently not easy to do on pages – no matter what order you tag your photos, they appear randomly in the banner instead of in the correct order. The new character limit has increased for “tab” titles to 53 characters or approximately 2 lines. Anything beyond this will cause the name to be cut off within the link and ellipses (…) added at the end. 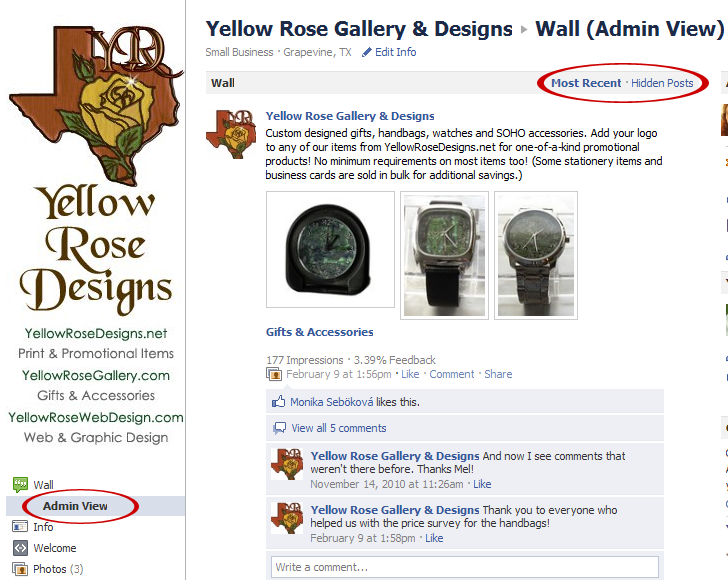 Finally, Pages can now receive notifications of comments, likes and new fans! (I can hear the rejoicing in the streets!) 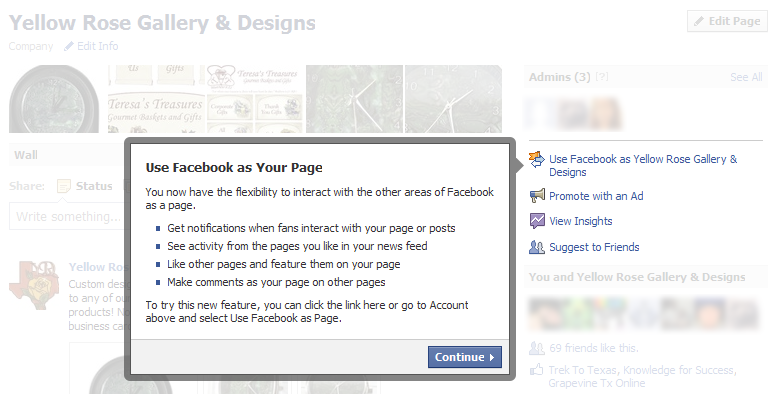 Here’s how: On the right side, there is a new link “Use Facebook as [Your Page]“. This does several things. You not only see the page notifications, but you can browse and comment on other pages as your Page. Browsing as your Page, you have a new Newsfeed for the page that shows updates from other pages (formerly your “Page’s Favorites”), and you can leave comments for (only) those pages under your Page Name rather than your personal profile. While others are warning to be careful whether you’re posting as your Page or as yourself, you can check which one you’re using by clicking Account in the top right. You can quickly switch back and forth to your personal profile from there as well. My one word of caution: When posting to other pages as your Page Name, be careful not to appear “spammy” with your posts. As your “Page”, you currently cannot comment on anyone’s personal profile or on other pages that are not on the list of Page Likes (again, this is formerly Page Favorites, so you can get used to the new terminology). You can add other pages to the list of Page Likes while browsing Facebook as your Page Name simply by clicking the Like button. 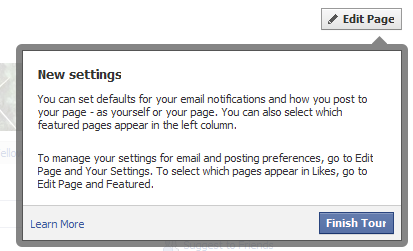 Last up are the new Page Settings related to email notifications and how you can post to your page. Not only can you get notifications on your page now, but you can have new comments on your Page sent to your email also. Another exciting new feature is that you can now post to your Page using your personal profile rather than all posts coming from the “Page.” This is the one setting where I would be sure to always double check if it will show up as your Page or as your Personal Profile, especially if you switch between them very often. To update your settings, go to Edit Page on the right side of your Page wall. From there, go to “Your Settings” in the left navigation. This is where you’ll find Posting Preferences and Email notifications as shown below. Pages now have the same layout as personal profiles. Page Owners/Admins have until March 2011 to switch to the new layout. After this, all pages will be automatically updated. Once you switch to the new layout, you cannot revert your page back to the old layout. 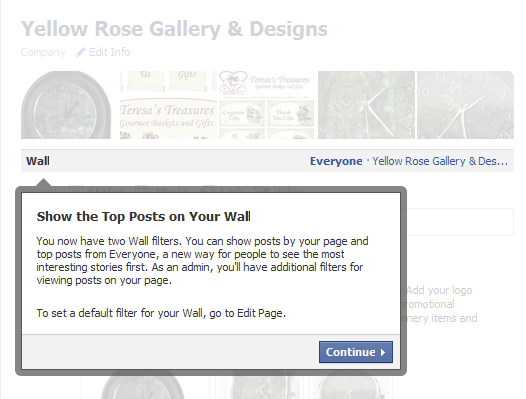 Page Admins can add photos to the banner on the wall by tagging the photos with the Page Name. Removing a photo from the banner removes it permanently from the wall banner, but does not remove it from the photo album. Page navigation is on the left side instead of in tabs at the top. Wall filters show “top posts” rather than chronological order. Admins can still view Most Recent posts by going to Admin View in the left navigation. 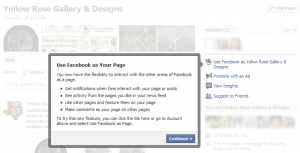 Leave comments on your page’s Favorite Pages under your Page Name. You can post to your page using your personal profile. Receive email notifications when users post or comment on your page. I hope this helps everyone understand your new Page layout and all the exciting new features. Facebook has come up with some other new changes that I’ll be featuring in upcoming posts. Stay tuned by subscribing to my RSS feed! Great post. Thank you so much! One new feature is the “Featuring of an Admin”. Can you tell us more about how to set that up? Thanks Julia! I’ve done that too and featured myself on my page. I decided to keep it to the main 5 things on the tour for this post since I tend to get wordy. There are several other things I want to feature in upcoming posts, including Featured Admins and Pages, where to find notifications, and the ability to change categories, plus the changes for photos. Have you seen the new photo viewer? All across Facebook, people seem to hate it but I think it looks good.